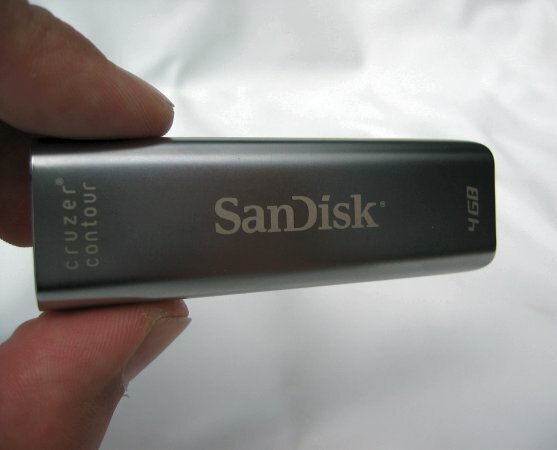 The new Cruzer Contour USB drive from SanDisk is described as the company's flagship USB flash drive. The SanDisk Cruzer Contour ships in 4GB and 8GB capacities and features a stylish black glossy design. 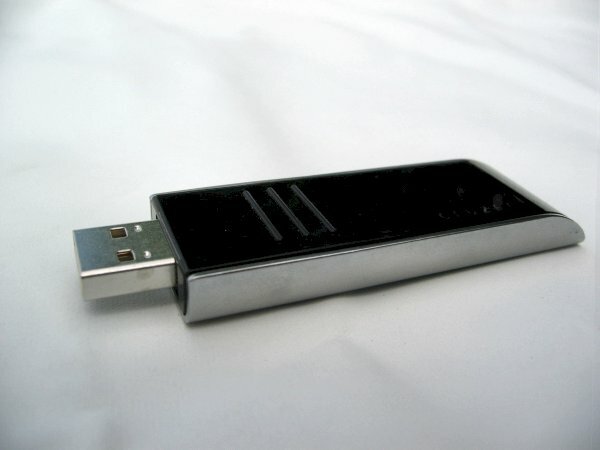 It's pretty feature-rich for an USB stick, one of the most special features is that it features a sliding USB connector that retracts into the body. Other features include support for the U3 technology which allow you to carry software and files on a secure password protected USB drive and support for Windows Vista's ReadyBoost. According to SanDisk the drive features a read speed of 25MB/s and a write speed of 18MB/s, but I'll further investigate this on the next page. 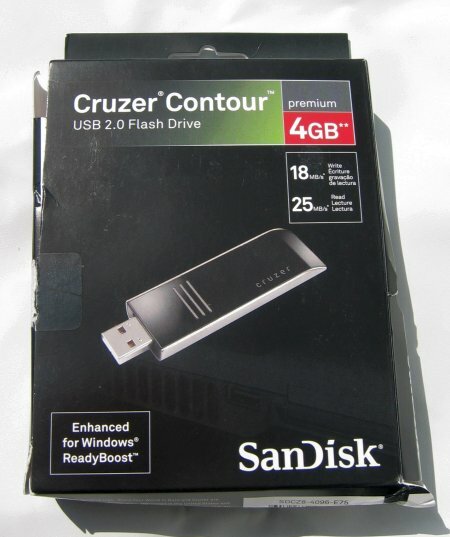 The SanDisk Cruzer Contour arrives in the following box. The box was shipped in a large envelope and got a bit damaged during shipping but fortunately the USB memory stick was in perfect shape. 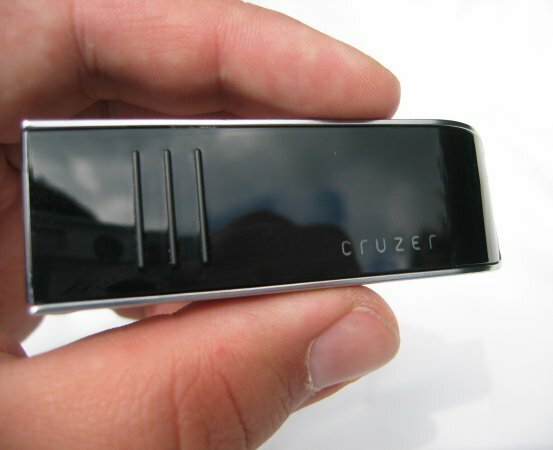 The box includes the Cruzer Contour USB stick, a couple of documents and a small leather pouch. Here's a look at the front of the Cruzer Contour. It's made out of shiny black plastic and has a couple of ridges to make it easier to slide out the USB connector. The "Cruzer" text lights up blue when you insert the drive in your computer. When I took the Cruzer Contour out of the box I was a bit surprised by two things: the back and sides of the Cruzer Contour are made out of aluminum and because of this the flash drive is a bit heavier than most flash drives. The metal backing also gives the drive a more sturdy feel than other flash drives I've reviewed in the past. The drive is a bit bigger than other drives I've reviewed in the last couple of months but it didn't really feel bulky. The aluminum back features some text and the capacity of the drive, which is 4GB. A really nice extra is this leather pouch for the SanDisk Cruzer Contour. You can slide your USB drive into this pouch for extra protection. 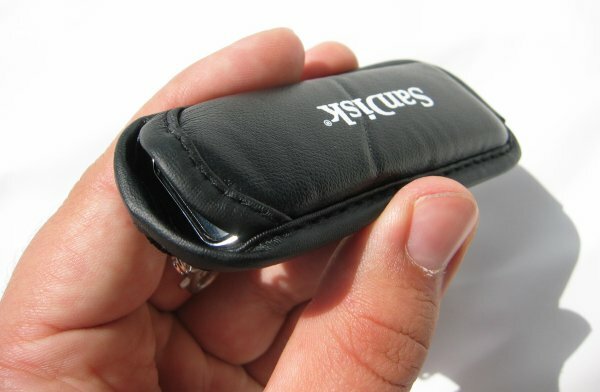 It can easily be attached to your keychain belt and will protect your drive from getting scratched in your pocket. Another neat feature of this flash drive is that it's capless. The USB connector slides out like the OCZ VBoost which I reviewed two months ago but the Cruzer Contour really features a much better build quality. To open the drive you have to slide the plastic front backwards fully and slide it forward fully. To close it you have to do the opposite: slide forward fully and slide backwards. There's even a cover that slides in front of the connector when it's retracted so no dirt can enter the drive. Tenho dois pen drives sandisk cruzer contour, um de 8gb de outro de 16gb, so que instalei o windows 7, e estou com problemas para abrir os mesmos, pois nÃ£o sÃ£o compativeis, e atÃ© agora nÃ£o encontrei os drives para instalaÃ§Ã£o. Portanto eles estÃ£o inuteis no momento. Mas Ã© um excelente produto. I purchased the 16 gig about 2 months ago and I love it. Sure, you have to get used to the sliding thingy, but the features it packs are well worth it. It is soooo fast. Faster then some of my external usb hard drives. I didn't even think USB2.0 was capable of continuous rates at almost 30mb/s (and this is WITH hardware encription). So don't listen to everyone whining about "it's hard to plug in"wah wah. They probably all have stubby fingers or something. I hold it by the metal part when plugging it in, no problem that way. I didn't even think of doing it otherwise. Would not ever buy!! it is JUNK! Like the other user said it dont stay out when trying to put it into a usb drive. now it dont turn on anymore i have used it for a month! I agree with the reviewer...this drive has a wonderful, substantial feel. Unfortunately, I agree with the reviewer who mentioned how the USB connector retracts when you try to plug it in. I have mastered the technique for applying just the right amount of pressure to keep the USB connector fully extended in order to insert it into the computer's USB drive, but what I cannot control is how the drive will spontaneously disconnect from my computers....usually when I am right in the middle of something, causing me to LOSE my work! This has been a nightmare exerience. Bought a 16GB one in Singapore this week ... SG$130 (about $100 USD). Love it. Speedy, open/close mechanism works flawlessly, usual good SanDisk product (I don't work for them, but I do work in the computer software industry). Sure it's pretty, but the sliding back then forward thing was unnecessary. 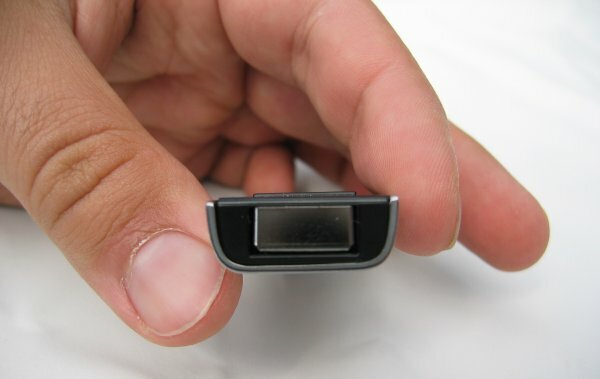 Why not just make it slide out with one quick flick of the thumb like so many other USB drives? The thing that really bothered me was the fact that once it was open and you tried placing it in the USB port, the connector would slide back into the casing. No matter how hard I squeezed he casing, I couldn't get it to stop doing this. Very poor design, I returned it and bought another manufacturers drive. I just got my 8 gig one today plugged it into vista and it asked if i wanted to speed up my system,i said yes and vista runs sweet. I also bought an 8 GB version of this in Europe (22 Oct 07) at a so called discounted price of 120 €. I'm quite sure it said Vista Compatible on the box. It works a dream XP, but not on Vista. How long do Sandisk need to program the Vista drivers? It defo says Ready Boost and I thought that was Vista. Anyway I can't use it or return it, as I bought it at a Dutch Tax Free and I live in Norway. Come on Sandisk, get the drivers sorted. P.S. Just bought a JVC GZ-MG132 HDD camera and that also states Vista Compatible, Vista recognises it alright, but can't find the drivers anywhere! Vista appears to have been released at least a year too soon!!! when i bought it i tough it will work without drivers but the true is not ready for windows vista, i tried to download the drivers in Sandisk.Com and i found that is "temporaly out for Windows Vista" whataf'''k is that the support in sandisk also socks and i whant my money back period.